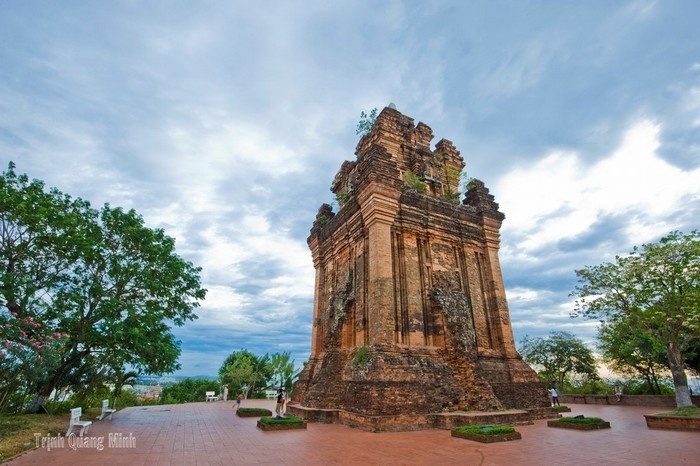 This is the majestic Nhan Tower – the pride of Phu Yen. That is wonderful and exotic Da Dia Reef. Or Vung Ro Bay which is considered as a legend of Ho Chi Minh Trail near the sea. Or Dai Lanh Lighthouse opens arms to welcome the first arrays of the sun on the sea and so on. 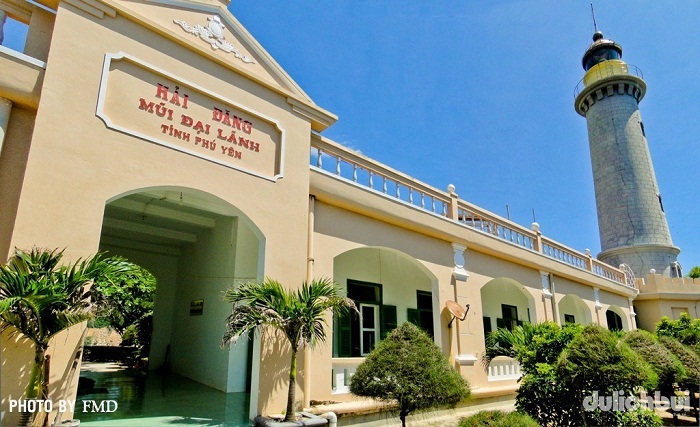 Phu Yen land have been experienced all ups and downs of the history but it still remains the simple and alluring beauty that stirs any visitors’ heart. The first charming thing whenever mentioning Phu Yen is the cultural space of rocks. 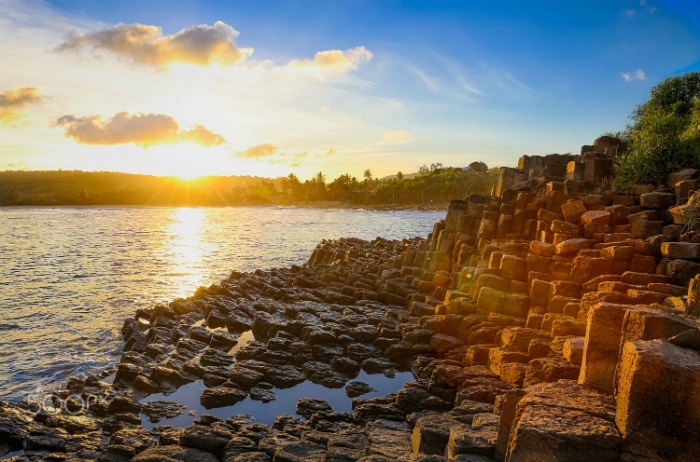 Phu Yen is famous for rock shores in which rocks stacked onto each other tightly and extended outwards the sea. Tourists can walk along the rocks, feel the salty seawater, the touch of each cool breeze, the noise of the waves hugging the shore. 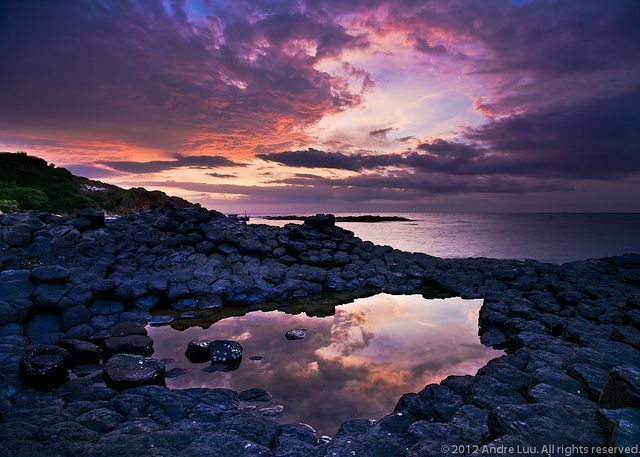 You can also wander around coastal villages to admire the lively scenery filled with rocks and rocks. Houses, roads, bridges through ponds or byres are also built with rocks. This is an exotic beauty which arouses your interest a lot when looking at. Come here to see the soonest dawn at the southernmost lighthouse of Vietnam. This is one of 8 lighthouses in 79 lighthouses operating in Vietnam currently that has the longest history which is over 100 years. You would be overwhelmed because of being impressed by the beauty when darkness goes away and cede to the first arrays of sunlight. 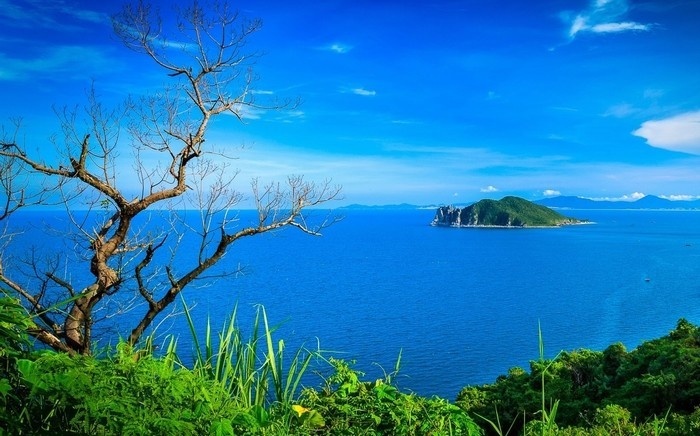 Along the road leaded to the lighthouse, you will see the whole immense blue sea of Phu Yen, boats go to the sea or rock mountains with exotic shapes. This is absolutely an experience that you cannot forget. Vung Ro is surrounded by Ca Pass, Da Bia Mountain and Ba Islet. It used to be the important wharf of the Ho Chi Minh Trail on the sea. Vung Ro has 12 small beaches, including: Bai Lach, Bai Mu U, Bai Nga, Bai Chua, Bai Chan Trau, Bai Ho, Bai Hang, Bai Nho, Bai Chinh, Bai Bang, Bai Lau, Bai Nhan. The sea has a mild blue, endless yellow sand. Walking on the sand, listening the rhythm of the waves and the wind whispering, you will find inner peace. 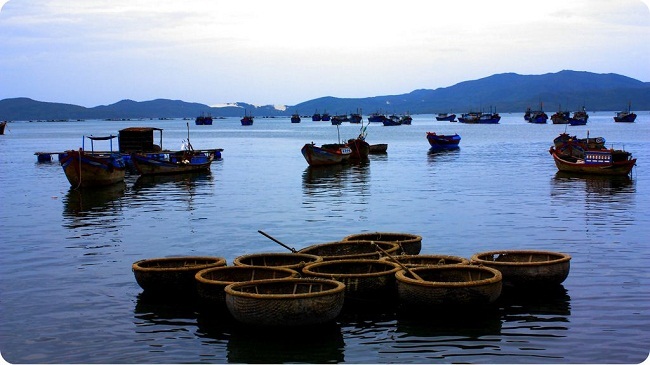 Coming here, you can hire the fishermen’s boats to explore the ocean or conquer the peak of Da Bia Mountain sleeping in the white mist, let your soul flow with the ocean and forget all worries of life. With the height of 105 m, Hon Nua looks like a pillar separated the door to Vung Ro Bay in the south. Visiting Hon Nua, you will be surprised of the small beach with 500 meter length and has an arc shape, a white fine sand and fresh seawater. If you have diving suit and stuffs with you, you can also explore the amazing charisma of coral reefs under the water. Visiting Xuan Dai Bay, you will admire the lyrical ink painting with the vast coconut trees, imposing mountains surrounding the clear blue sky and sea. 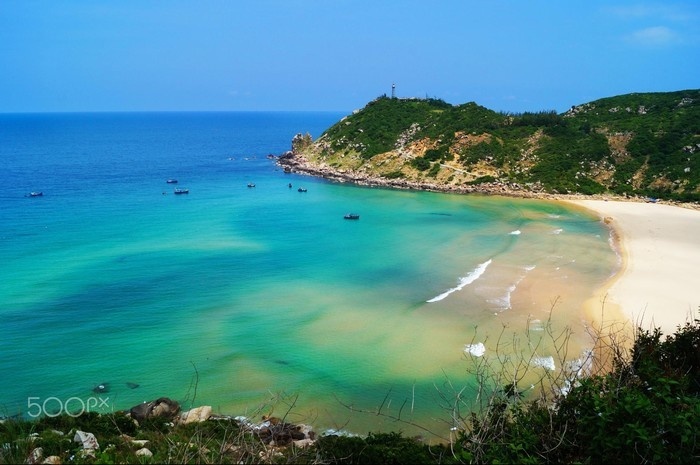 Here, there are many small and alluring beaches such as: Vung La, Vung Su, Vung Chao along with islands and peninsulas. The seawater here is crystal clear and not dangerous. You can go further without fear since the sea level is quite shallow. Located on the north bank of Da Rang River, in the region of Tuy Hoa city-Phu Yen, Nhan Mountain or also known as Bao Thap Mountain, which is compared as a giant green lung of the city, looks like a tern opening wings. Besides, the mighty of the forest’s canopy, Nhan Mountain also captivate the tourists’ eyes with a high and imposing Cham tower on the top of the mountain. The green of leaves, the brick color of the tower make the mountain looks more sacred and mysterious. Standing on the top of Nhan Mountain, you can see a new angle of Tuy Hoa’s view with the paddle fields in between houses next to the gentle Da River. O Loan Lagoon is associated with the folk tale about a fairy whose name was Loan, rode a crow-sized bird and wandered around the southern sky. When she approached this land, she met a poor but kind and hard-working man and fell for him. She decided to stay in the human’s world and be his wife. The lagoon’s surface is tremendous with ripples flowing with the movement of the breezes, low hills and the lush green sugar cane fields. In the light of the glistening twilight, you will admire sparkling and serene painting. 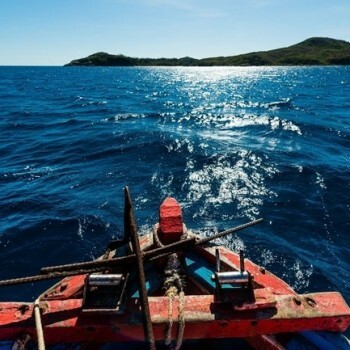 Coming to Phu Yen means that you come to a peaceful and beautiful land where you can discover amazing wonders, immerse yourself in romantic and quite spaces. You will definitely have lots of memorable memories whenyou arrive here.